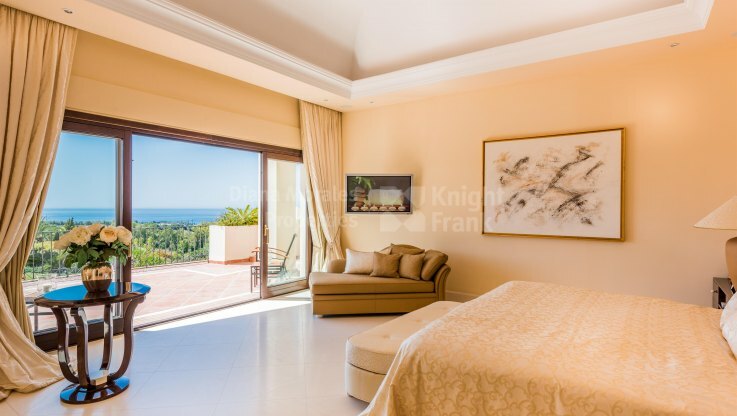 Please, send me more information about ref DM3877 in Marbella Hill Club, Marbella Golden Mile or similar properties. 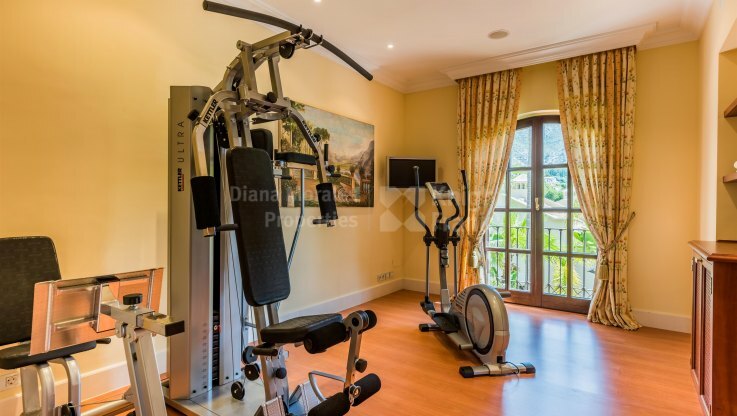 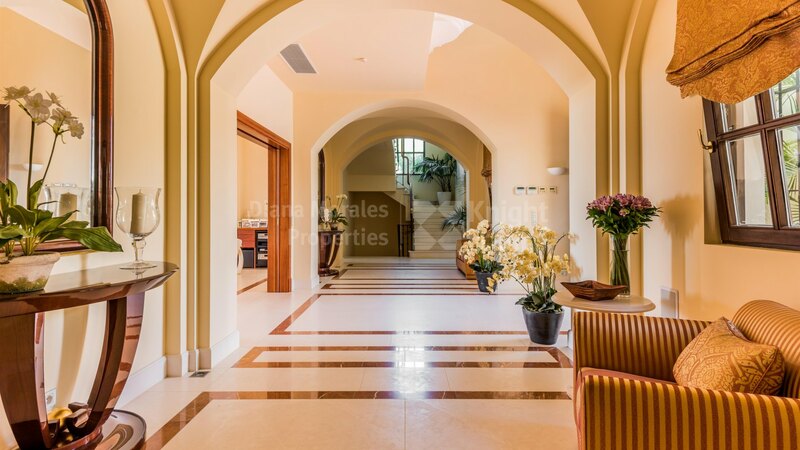 This impressive mansion is situated within a prestigious sought-after community at the foothills of Marbella mountains. 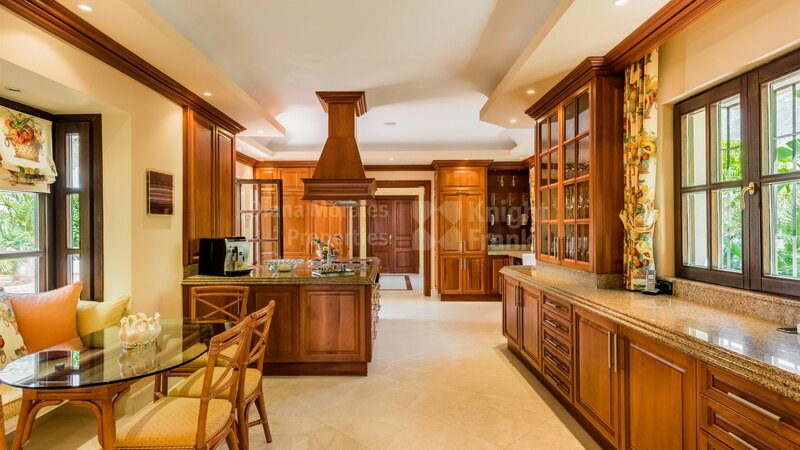 A spectacular home with a beautiful driveway with a landscaped roundabout and a refreshing cascade. 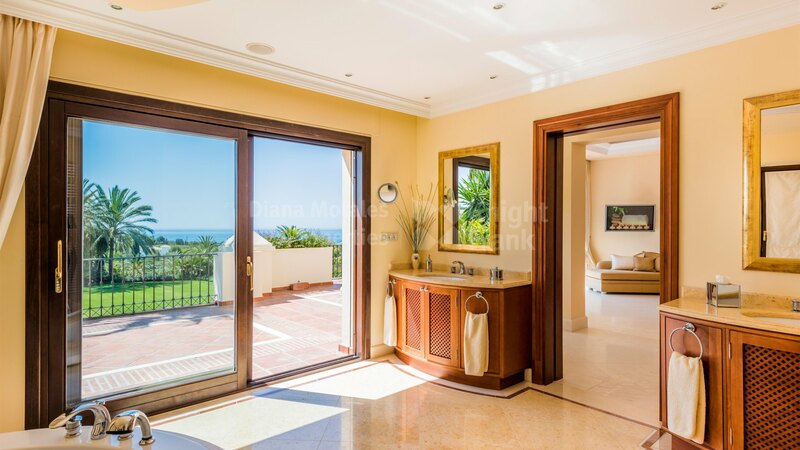 The house is accessed through an Andalusian courtyard with small fountains on both sides of the entrance door. 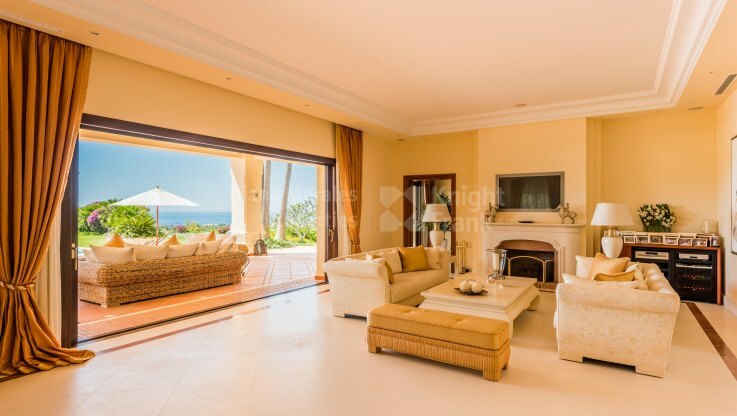 The interiors accurately framed with the cherry wood carpentry of doors and cupboards amaze with the height of the entrance hall with vaulted ceilings, the large and luminous lounge with a fireplace and dining area as well as the adjoined office with library all lead out to the covered terrace with stunning panoramic views of the pool, garden and the Marbella coastal line across to Gibraltar and Africa. In the guest wing to the right of the entrance there are two bedroom suites with built-in wardrobes and exit to the western part of the garden, and in the eastern wing a fully fitted kitchen with Gaggenau and Miele appliances, breakfast corner and with adjacent laundry room with refrigerators for cold drinks and exit to the outdoor patio which also features an orchard with aromatic herbs. 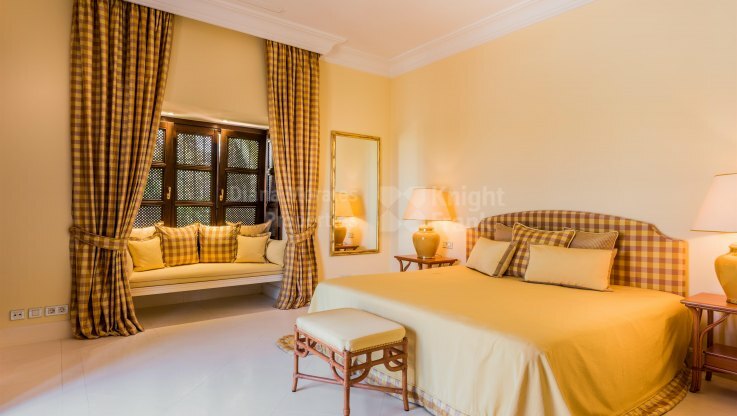 The upper floor houses a double bedroom with shower and bath tub and a large master suite with dome ceiling, dressing area, bathroom with shower, jacuzzi, sauna and gymnasium with separate entrance from the corridor. 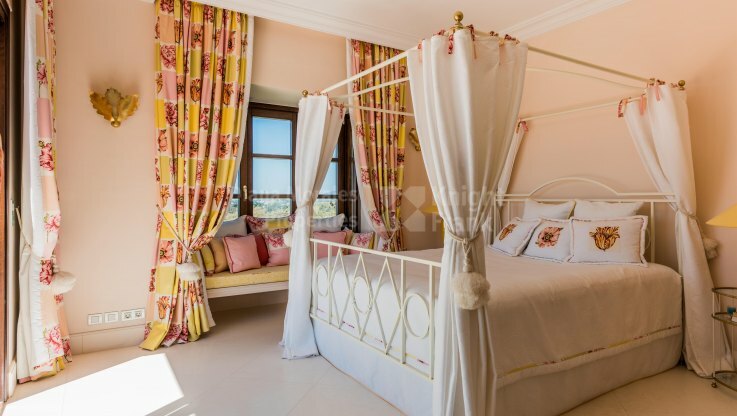 Both bedrooms share an open terrace with panoramic sea views over the Mediterranean coast, Gibraltar and African Atlas. 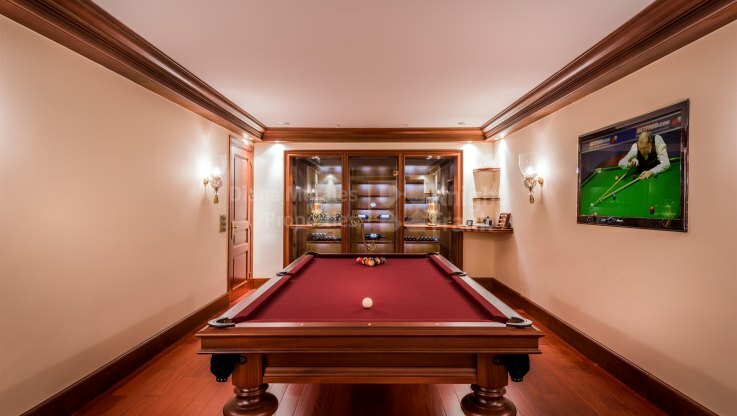 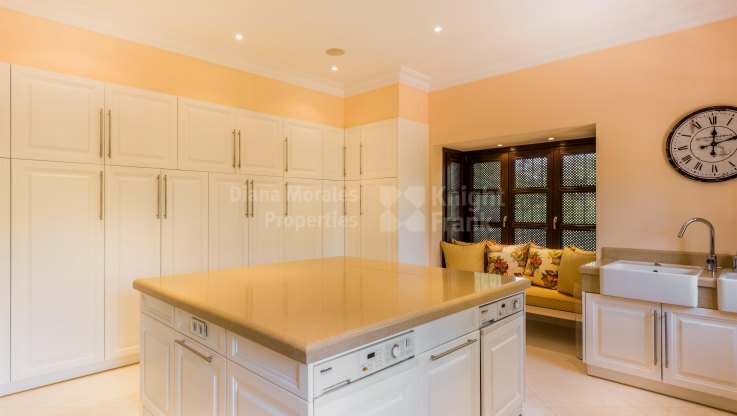 The basement which is accessed both through two western and eastern staircases is distributed into a 5 car garage, massage room, guest toilet, wine cellar with billiard table and an empty room which could be transformed into an additional accommodation with shower en-suite and separate entrance.